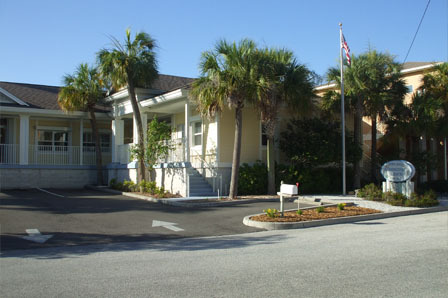 With direction from the Mayor and Board of Commissioners, plans, organizes, provides oversight to and participates in all Town Clerk functions, including providing administrative services for the Mayor and Commissioners; retaining custody of and maintaining the Town’s official records and history; managing purchasing and payroll activities for Town Hall operations/employees; assisting in preparation of annual Town budget, coordinating the conduct of municipal elections; ensuring legal notification of various Council, commission and committee meetings, and preparing agenda materials and minutes for Commission meetings; updates and maintains master copy of Town’s Charter and Code of Ordinances; officiates at bid openings; coordinates City response to subpoenas for records; issues permits for parking, solicitors; coordinates updates to Town’s Web site; acts as a Notary Public, and performs related work as required. Missy is a Certified Municipal Clerk, prior to Redington Beach, Missy was a city clerk in Minnesota and has been in municipal government since 2001, joining the Redington Beach office in 2007. Missy is a member of the International Institute of Municipal Clerks, the Florida Association of City Clerks, member of the Pinellas County Municipal Clerk’s Association, Florida Government Finance Officers Association and is a Notary Public. Prior to joining the Town in May 2016, Adriana was the Administrative Assistant at Congregation Beth Shalom in Clearwater, FL for 9 years. She is a member of the International Institute of Municipal Clerks, Florida Association of City Clerks, Pinellas County Municipal Clerk's Association and is a Notary Public. Responsible for routine maintenance of the Town’s infrastructure & cosmetics; for maintenance of Town’s mechanized equipment; for liaison with local utilities; for meeting and documenting compliance with State and Federal pollution control requirements; for supervising work of contract vendors working on Town facilities; for liaison with Town’s Park Board; and for maintaining and implementing the Town’s Emergency Management Plan including liaison with local law enforcement agencies and other emergency services. The Town Commission meets on the 1st & 3rd Wednesdays of the Month at 6:30 PM in the Commission Chambers, Town Hall. This document has been developed in order to familiarize employees with the Town of Redington Beach and provide information about working conditions, key policies, procedures, and benefits affecting employment at the Town of Redington Beach. Click Here.